Ruta Nº 40. Km 4326. Tolombón. 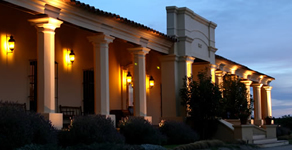 Altalaluna is a boutique hotel situated in Tolombon, just 10 minutes driving from Cafayate Wine Region. 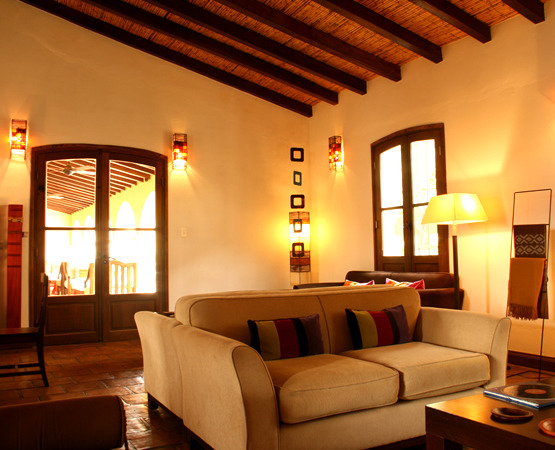 The hotel has a spanish style with colonial corridors, similar to the first houses of Salta. 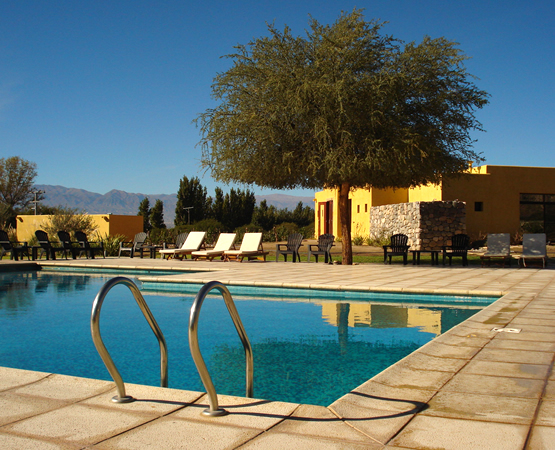 It offers breakfast and country lunches under the shadow of anciente trees; heated swimming pool with views to the Cafayate Valley; spa to relax and rest with sauna, relax, massage and gym rooms. Warm rooms and suites with views to the vineyards, the impressive mountains and the emblematic route 40, are the true reflection of distinction and good taste. Guests can freely enjoy the wonderful vineyards of Altalaluna in the oenological touristic walks, which count with the best selection of Salteñan wines in wine cellar. Altalaluna Boutique Hotel & Spa with its history and its present, rejoices the soul. 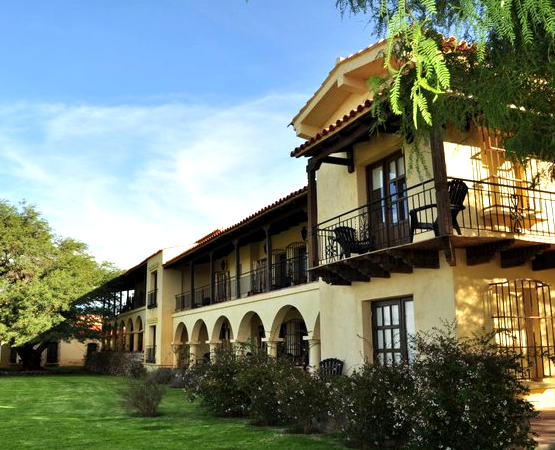 In an upscale colonial-style mansion with a heated pool and views of the Cafayate River, Altalaluna offers spa services and free Wi-Fi. Gourmet dishes can be enjoyed at the restaurant. • Swimming pool and solarium overlooking the panoramic views of the vineyards of the city of Cafataye. • Horseback riding, trekking and mountain biking. • Living room with a fireplace. Gastronomy: The restaurant is situated in the main building. A visit to the restaurant would be an incredible gastronomic trip, which offers a gourmet-regional proposal specially prepared by the chef to go with the well-known wines from Cafayate. Spa: Altalaluna Spa lets you enjoy a relaxing time with a splendid view of the surrounding hills. Wet and dry sauna, scottish shower, relaxation room, massage room and gym are among the ideal options that you may choose from to completely relax after a nice day enjoying one of the manny attractions that Tolombón offers to you. The spa also offer a bar service, where you may taste a wide variety of natural juices, salads and sodas. The rooms are spacious and originally decorated combining art together with the most modern comfort. All the rooms have a private bathroom with a bath, a dressing room, an individual heating system and air-conditioning; cable TV, telephone services; internet access and a safe box. Standard Room: Comfortable rooms which overviews either the vineyard of the hills of Tolombon, framed by the immensity of the valley. Facilities: air conditioning, heating, safe box, telephone, 20´´ cable TV and amenities. Master Suites: These spacious rooms are located at the sides of the building. Two of these en-suites rooms have a bedroom and a living room which makes it suitable to be turned into a triple room. Each of these rooms has a balcony which overviews either the vineyard or the hills of Tolombón and all of them are framed by the immensity of the valley. 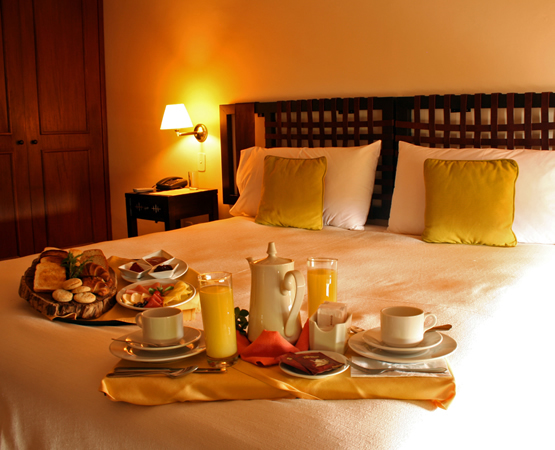 Amoing the facilities in these rooms there is a 29´´ satellite TV, mini-bar, whirpool bath and special amenities. Grand Suite: This is a wide apartment for up to 5 people. Facilities: air conditioning, heating, safe box, telephone, 30´´ TV with cable, amenities, mini-bar and jacuzzi. 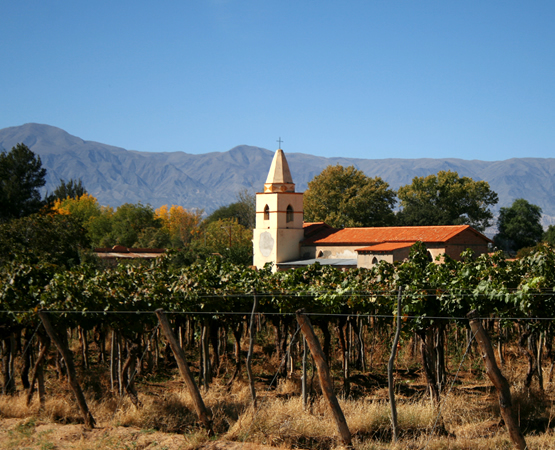 Altalaluna is situated in the middle of the wine region of Tolombón, a subdivision of Cafayate wine region. The hotel has its own vineyards of Malbec and Torrontes grapes. Guests are able to taste these two varieties of wines. The visitor might be interested in the close-by ruins of the pre Hispanic city of Tolombón, the remains are kept mainly covered by shrubbery and there are some stone walls signalling the shape of the rooms of the once existing fortress. They can be found three kilometres West of the town. The town of Cafayate is an attraction by itself, with its laid-back rhythm, colonial style, and wine cellars open to the public. Museum of the vine and the wine in Cafayate (Museo de la vid y el vino). Wine tous in the most important wineries of Cafayate.